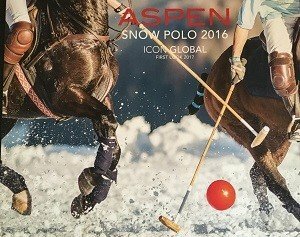 Bernie Uechtritz was all smiles at the final round of the 2016 Aspen Snow Polo Championships last weekend. We weren’t sure if it was because he had Nacho Figueras on his team, or because he was still riding high from the sale of America’s largest ranch listing at $725 Million, the W.T. Waggoner Ranch in Texas. When Uechtritz walks off the polo arena with a smile from ear to ear, you would have thought his team won the Polo World Championship. Yet second place in Aspen isn’t too bad either. Uschtritz has that way of making you feel like you’ve known him for 20 years even if it’s only been 20 minutes. He’s buddies with everyone on his team, as well as the opposing team, the camera crew, the announcers, the staff, even the international fanfare. Always a pleasure to spend some shoulder time with Bernie!